This post isn’t really for readers living in or around Boston because they probably already know about the best burrito places and have a strong opinion. Instead, this post is for anyone that: A) claims there is no good Mexican food in the Northeast; and/or B) isn’t from the area and looking for a delicious burrito. In comparing burritos I decided to compare three places that have similar burritos in size, preparation, and ingredients. I also kept the list to places that serve a burrito you can eat with your hands like street food. One restaurant, El Pelon, is not reviewed in this post and some people will have my head for leaving it out, but I didn’t eat there recently, so deal with it! It’s a good option though if you’re near Fenway Park or Boston College and it would compare to the restaurants below. Regardless of the outcome of the comparisons, all of these places make a great product using fresh, authentic ingredients that are made to order. At first glance, each of these really good restaurants makes a very similar product. There are very distinct differences, but to the naked eye, they all use similar techniques. In order to illustrate my point, let’s play a little game. If you’ve been to all or some of these restaurants, then this might be fun. If you haven’t then just enjoy the pictures! I’ll put the answers to the quiz at the bottom of the post. Below are three pictures of three burritos. Each burrito belongs to one of the restaurants below. Try and guess which belongs to which. Ready? Go. Hard, right? 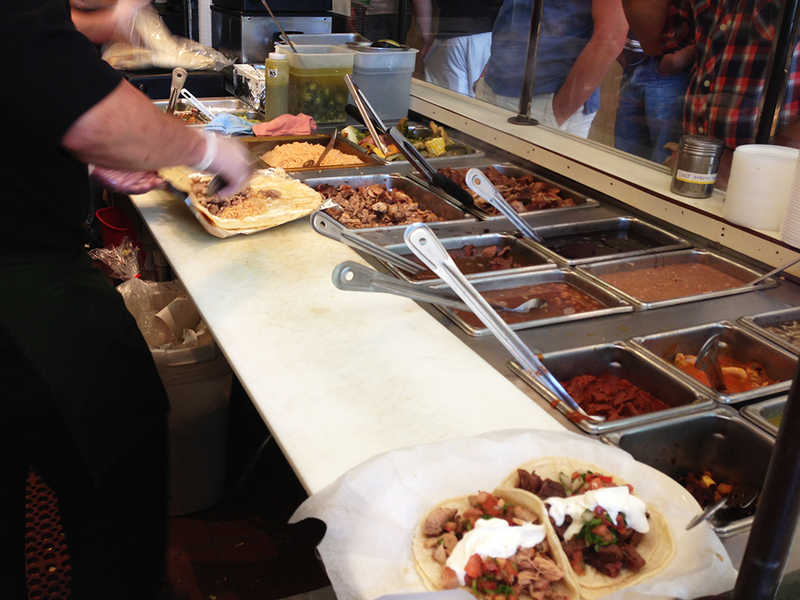 All three restaurants create a hermetic seal around the burrito contents by steaming their flour tortillas prior to assembly and wrapping them tight in foil. Considering how juicy and delicious the interior of these burritos are, it’s amazing that 90% of the time, the tortillas don’t burst open or leak until you get to the very end. That’s one sign of a great burrito. Now, look at the insides of these burritos and see if you can tell which burrito belongs to what restaurant. I’ve swapped the order as well. Don’t get discouraged if you can’t tell them apart just by looking at them. It’s the taste where they really make a difference. I’d have to give the award for Best Atmosphere to Felipe’s. 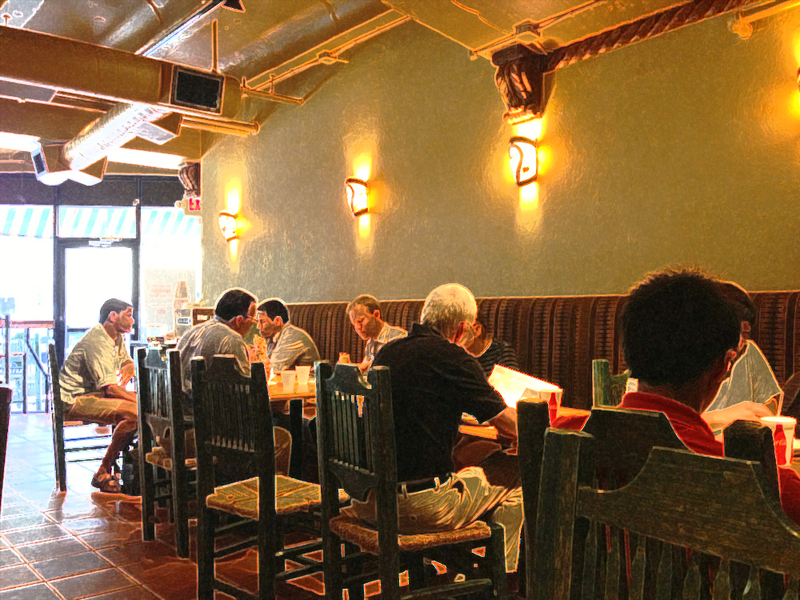 While Anna’s and Boca Grande both have really simple, similar interiors, Felipe’s uses more wood in their decor and the chairs look kind of “old world.” I’d say that all of the restaurants are comparable when it comes to comfort, but Felipe’s has a little more character. Felipe’s also gets points for having restaurants in New Orleans, which in and of itself just adds incredible atmosphere. I had the opportunity to eat there when I visited New Orleans for a friend’s bachelor party and that restaurant was very large inside. They also accommodated the bachelor who wanted an “all of the meats only” burrito. Good service and an All-Of-the-Meats only burrito? A win in my book! Boca Grande is the most expensive of the three restaurants covered here by about a dollar or a little more. Their prices seem in line with Anna’s or Felipe’s, but they get you with a bunch of add-ons that cost more money. For example, sour cream and/or guacamole add to the price. Their drinks are also a little pricier and they still haven’t learned that no one wants to pay $0.50 anymore for a soda refill. Anna’s Taqueria used to do that, but it seems like they learned their lesson and removed that policy. Felipe’s also has free refills. In the most important category, I once again have to give it up to Anna’s. I have yet to have a better burrito. It’s that simple. I’ve had burritos on the West coast and the Southwest, but Anna’s burritos are still the best I’ve ever had. They use really fresh ingredients, like all of the restaurants on this list. Nonetheless, they definitely have the best salsa and cheese among the three. In addition, the flavors added to their meats aren’t overpowering, but you can taste everything working wonderfully together. 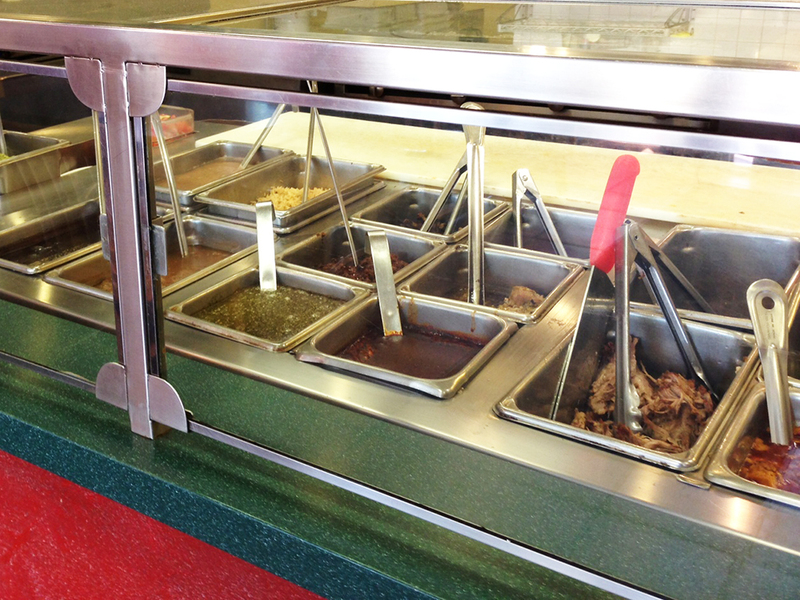 One of my favorite burritos from Anna’s is the chile verde burrito, which is pork soaking in a spicy green salsa sauce. It’s got a kick, but you can still taste the pork. Boca Grande has a similar pork option, but theirs isn’t as spicy and the pork is a little more mild in flavor. 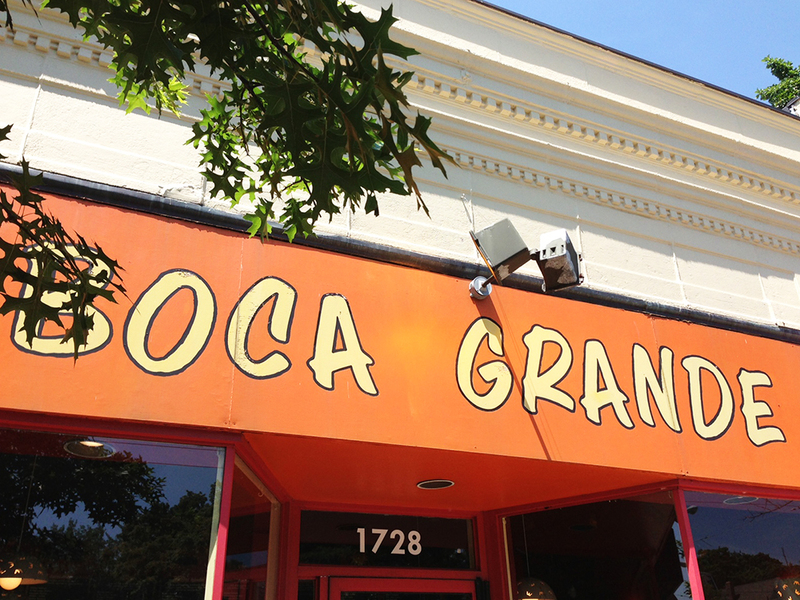 I’d have to say that Boca Grande comes in at second place because although their food is almost as good as Anna’s, everything is milder there. They use about half the amount of cheese, their salsa doesn’t taste as “bright”, and the meats are spiced a little less. If you prefer a milder overall burrito then this might be for you, but it’s not quite all there for me. Felipe’s on the other hand doesn’t lack in flavor when it comes to their meats. Their beans don’t have as much flavor as Anna’s or Boca Grande, but they have decent salsa. 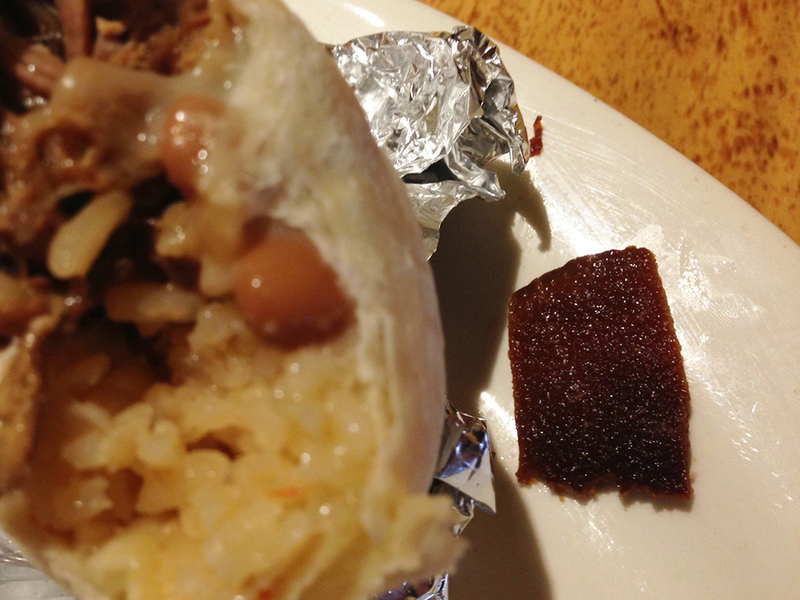 On one occasion at Felipe’s, I ordered the Carnitas (roasted pork) burrito and it had orange flavoring. At first, I found the flavor really interesting, but then I bit into something unexpected. There were big chunky pieces of caramelized orange rinds in the pork. I’d never noticed that before and I’m not sure if this is normal for Felipe’s or not. In any event, the giant pieces of orange peel didn’t work for me. They were extremely strong, plentiful, overpowering and far too large (see the picture below). I ended up picking them out and leaving them on the plate. This category doesn’t have any one restaurant edge out the others, but I thought I’d give you a little more to go on. At Anna’s I also tried their tacos. While these might not be the best tacos I’ve ever had, they are up there. 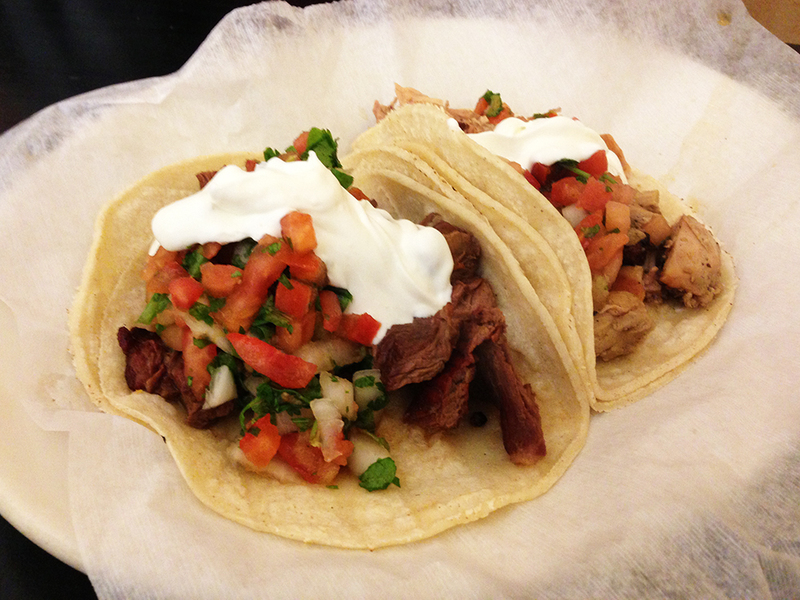 The fresh ingredients just make for some great tacos. At Boca Grande, they sometimes have tamales, which isn’t an item I’ve seen at Anna’s or Felipe’s. I haven’t tried the tamales, but they look and sound like they might be incredible. I’ll be sure to stop in some time and check them out. Lastly, at Felipe’s they have a unique add-ons and condiment bar. I still haven’t really found a need to use the bar to add anything to my already delicious burrito, but I always think about it. 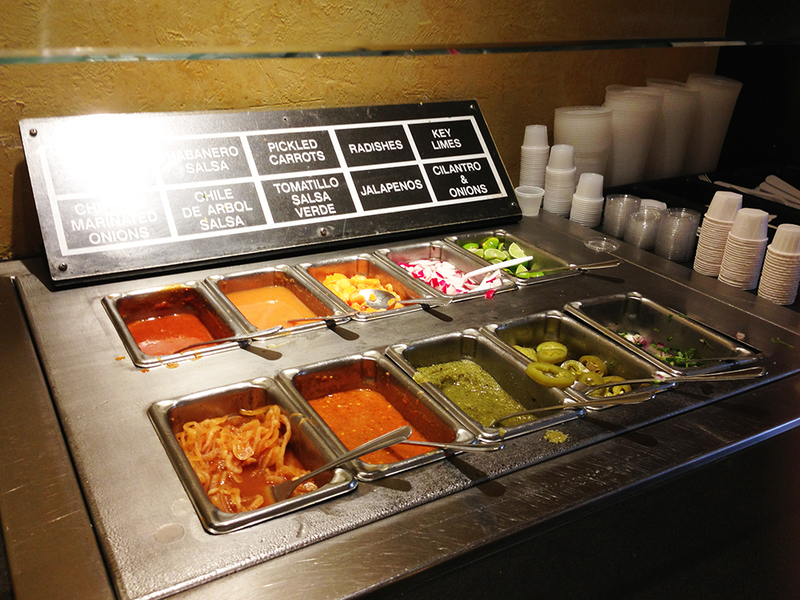 The condiment bar alone is worth the trip just to see what they have to offer. 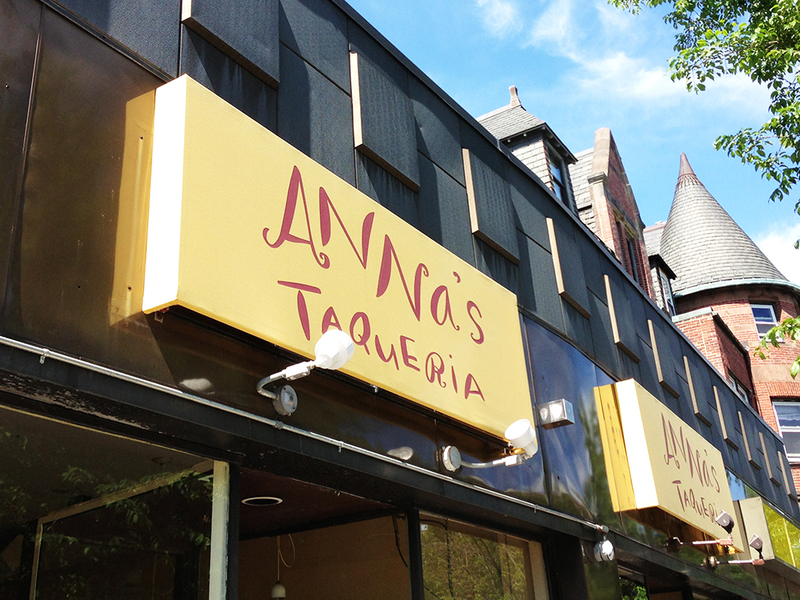 If I’m in Boston and there is an Anna’s nearby, I’m going to Anna’s. It’s that simple. The best flavor for the best price seems like a no brainer. 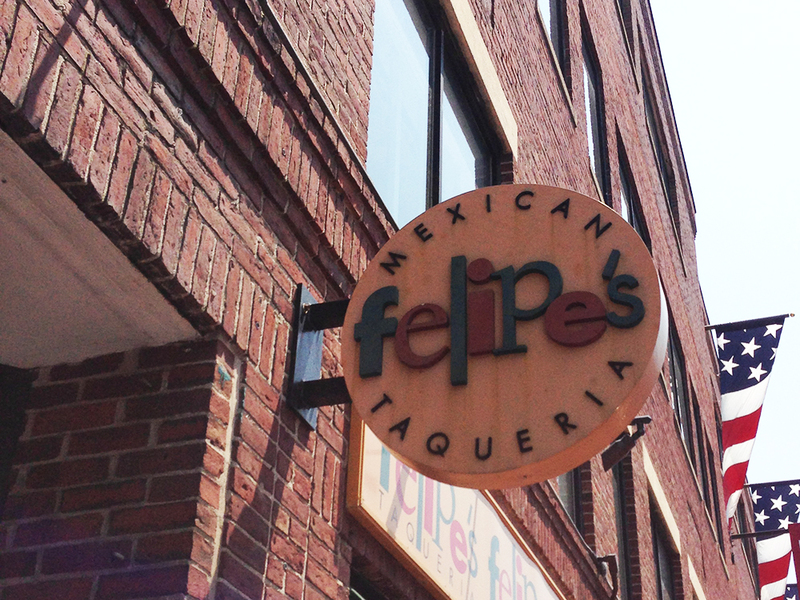 If you’re in New Orleans though, definitely stop by Felipes because they make a really good burrito and their larger restaurants are really nice inside. Boca Grande has the second-best flavor, but is easily the most expensive, so eat here for flavor if there isn’t an Anna’s nearby. No matter which of these three places you eat at, you’ll get a great burrito though. Picture 1: Felipes, Anna’s, Boca Grande. Fun Fact: Boca Grande founder, Mariko Kamio, and Anna’s Taqueria founder, Michael Kamio, are siblings! Awesome! I will keep these in mind whenever I visit Boston again 🙂 And I most likely will be in New Orleans sometime in the next year so I will try to remember Felipes. New Orleans is a great time! If you’ve never been or even if you’ve been there before, check out my post on my visit for some food-centric locations! I just celebrated a bachelor party this past weekend and some of the guys insisted on getting Anna’s burritos the next morning because they are from out of town. They made it a priority. Ha!